Many Races above will have more articles soon as Rare Artifact Info is gathered. 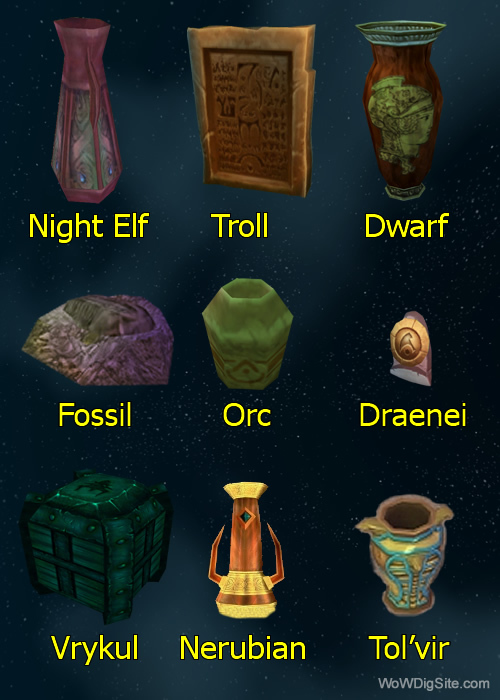 Night Elf, Troll, Dwarf and Fossil can Surveyed after training Archaeology. 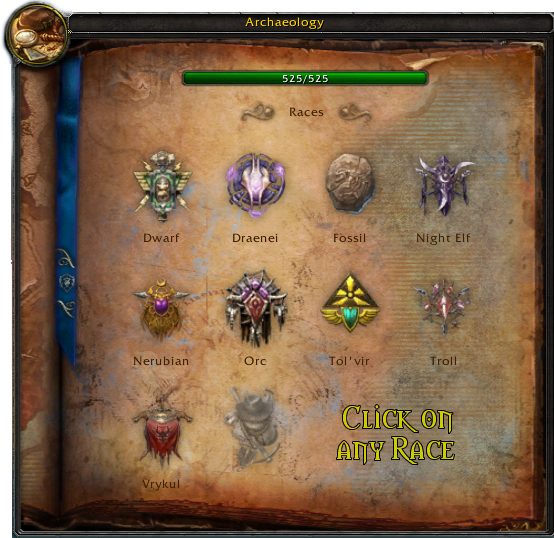 Draenei and Orc require archaeology skill 300. Vrykul and Nerubian requires skill 375. Tol’vir requires skill 450.